Should any of your travel plans fall under these examples, a seat reservation can help ensure your journey runs smoothly. In order to place a seat reservation a pass is required and the reservation is for each individual pass holder for each train for a nominal fee. 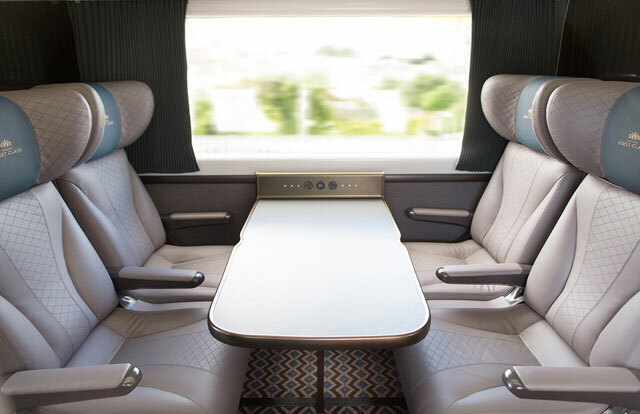 A Britain Seat Reservation is to be used for the specific train, date and time that was selected while making the reservation. A seat reservation is available for either First or Second Class for adult fares but it must match the class of the pass. To clarify, if you purchased a pass in Standard Class then you are unable to place a seat reservation to travel in First Class. Britain Seat Reservations can only be placed by pass holders. The pass must be valid for travel during the same period as the reserved seat and must be accompanied by the pass holder for travel. These seat reservations are available to everyone. Simply print out the itinerary and bring it on board to show train staff the NRS Booking Reference # along with your valid pass.